“The draft Scottish Budget contained a modest increase in funds towards meeting the 50,000 affordable homes target. The £470 million announced is in line with the £3 billion committed over five years, but it is important that this funding grows at a level that will allow this target to be met and contribute towards solving the nation’s housing crisis. “Whilst we are still awaiting full details of the proposed budget that will be announced in the coming days, we welcome the announcement of £47 million to continue to mitigate the ‘bedroom tax’ and £10.9 million for other Discretionary Housing Payment (DHPs) uses. However, it remains to be seen if this will cover the increased pressure on DHPs, for example, caused by the UK Government’s Benefit Cap. 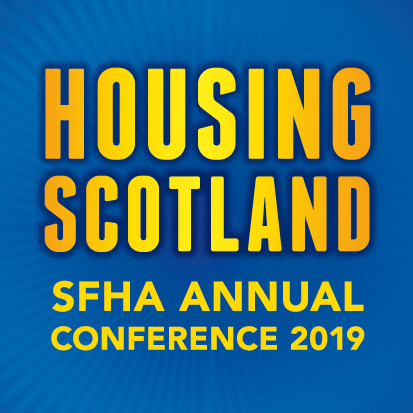 “The SFHA has long argued that investing in energy efficiency will create jobs, improve the nation’s health and reduce climate change, so it was pleasing to hear Mr Mackay say this when he announced £140 million funding to support energy efficiency programmes.